Whether they’re required for downstream manufacturing steps or for error-free functioning, surface characteristics are decisive with regard to part and product quality. Processes such as deburring and precision surface finishing are becoming more and more significant as a result – regardless of whether the parts are produced by means of erosion, forming, primary forming or additive manufacturing. 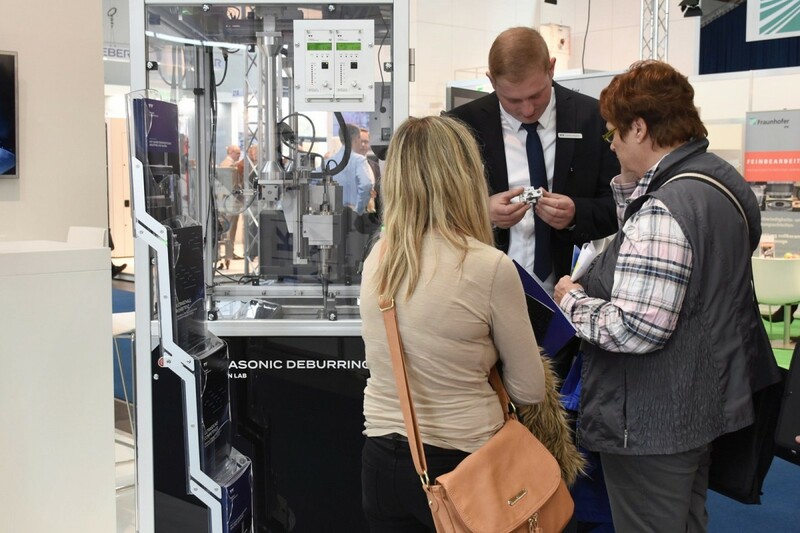 DeburringEXPO, the world’s only trade fair which deals exclusively with the removal of burrs and the production of precision surface finishes, will be held at the Karlsruhe Exhibition Centre from the 8th through the 10th of October, 2019. Beyond this, the supplementary program including theme parks covering the issues of the “Sheet Metal Deburring Process Sequence”, “AM Parts Finishing” and “Cleaning After Deburring”, as well as the bilingual expert forum, will offer specialised knowledge and know-how that’s unavailable anywhere else in such a compact form. Surface and edge zone characteristics are decisive with regard to further processing and the functionality of the respective components. Amongst others, these characteristics include coatability and bondability, friction, resistance to wear, sealing performance, noise, smoothness, roughness, improved performance, appearance and risk of injury. “Available manufacturing processes don’t make it possible to produce the required workpiece surfaces entirely without burrs. This makes intermediate and downstream processing operations such as deburring, rounding and precision surface finishing more and more important as a requirement for parts manufacturers which decisively influences value creation and product quality,” explains Hartmut Herdin, managing director of fairXperts GmbH & Co. KG, promoters of DeburringEXPO. At the same time, manufacturing companies are faced with new challenges resulting from ever stricter specifications and heightened requirements for process reliability and economic efficiency. As a unique information, communication and procurement platform for deburring, rounding and precision surface finishing, DeburringEXPO will provide a complete overview of current and new solutions and development trends from the 8th through the 10th of October, 2019. “As of mid-January 2019, more than 100 exhibitors from ten countries had already made firm bookings for their booth locations. 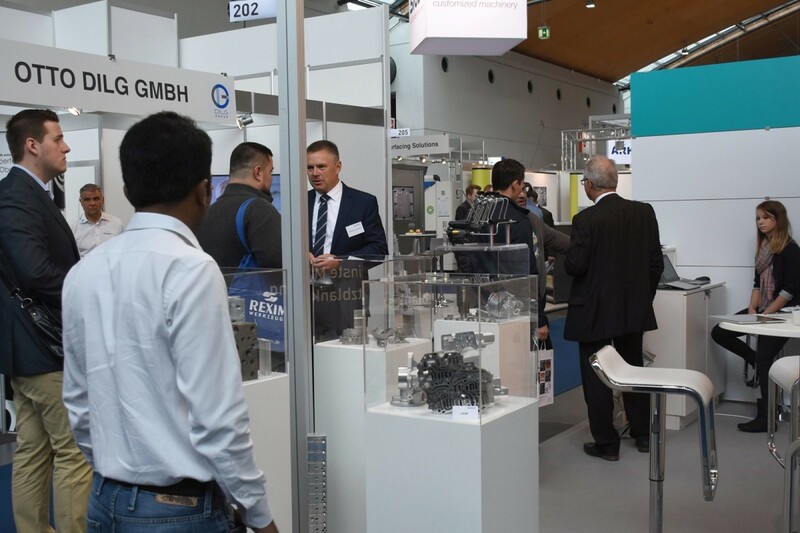 The solutions offered by the exhibiting companies are designed to efficiently and reproducibly fulfil current and future requirements for deburring, rounding and precision surface finishing in a great variety of industry sectors,” reports Hartmut Herdin. The exhibitor presentations will be supplemented by DeburringEXPO’s multifaceted supplementary program which is continuously updated to the ever-changing market. The “Sheet Metal Deburring Process Sequence” theme park, initiated together with market leaders and experts from the industry sector, will present the deburring step of the manufacturing process live in action, as well as up and downstream processes such as straightening, measuring and coating of sheet metal parts. Visitors will be able to feed a reference part (made available to them for this purpose) to the individual processing steps such as deburring, rounding and edging. Beyond this, information will also be provided on issues such as the relationship between edge rounding and corrosion protection, methods for measuring radii on rounded sheet metal components, development trends where tools for sheet metal deburring are concerned, automated surface finishing and much more. Industry is focusing more and more attention on additive manufacturing. Additive manufacturing offers creative opportunities in parts production with regard to shaping, flexibility and individuality. In particular additively manufactured metal components have in many cases already achieved levels equivalent to those of industrial manufacturing, and are now able to compete with conventional processes. Requirements for the surface quality of 3D printed parts are increasing as a result. Required post-processing steps such as cleaning, deburring and coating are thus a significant cost factor and are crucially decisive for industrial use of additively manufactured parts. DeburringEXPO’s exhibitors will present solutions for perfect surfaces in accordance with the specified requirements at, amongst other platforms, the “AM Parts Finishing” theme park. Oil, grease, emulsions, chips, grinding dust or lapping paste from the production processes still adhere to the component, even if it’s been ideally deburred, rounded or polished. Cleaning is thus absolutely indispensable because component cleanliness has a decisive influence on the intended function, as well as on the quality of downstream processes such as bonding, welding, coating and assembly. Experts will present solutions and the necessary knowledge at the “Cleaning After Deburring” theme park in order to layout and optimise cleaning processes economically and in accordance with actual requirements. As an integral part of DeburringEXPO, the 3-day expert forum has established itself as a highly popular source of knowledge thanks to its character as a an advanced training event. The simultaneously interpreted presentations (German <> English) provide visitors with comprehensive knowledge from the fields of deburring and rounding, as well as precision surface finishing, and concerning the special content of the theme parks. Practical examples and benchmark solutions make it possible to gather ideas and inspiration for optimising one’s own processes.